The Hudson Valley Horrors have resurrected roller derby from the sports grave, which has claimed the likes of Slam Ball and the XFL. If you've always wanted to be like Raquel Welch in Kansas City Bomber , here's your chance: The league is holding tryouts on January 21 and 24 at 7:30pm at Roller Magic in Hyde Park. Participants must be Hudson Valley women, ages 18 or older. Although experience is preferred, it is not a necessity. The league is also looking for referees and nonskating volunteers, both male and female. 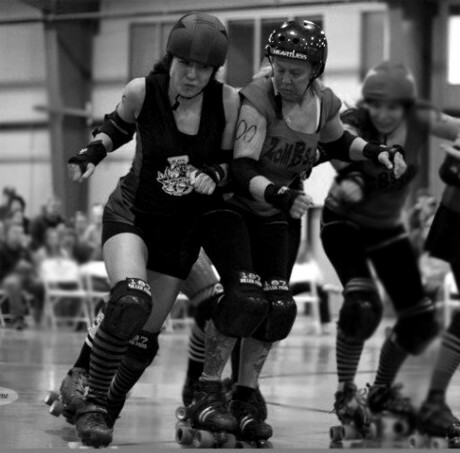 The Horrors began in 2006 when founder Jeshurun Nickerson, better known by her derby moniker Rxy Ramalotte, was hooked after seeing the television show "Rollergirls" and wanted to break the rough-and-tumble sport into the area. Ramalotte's brainchild has grown into a full league with A and B squads traveling across the tri-state area. In 2009, men and junior leagues began to develop.